The Friends of the Fort Worth Nature Center & Refuge invite you to celebrate the 26th Anniversary of the Buffalo Boogie! 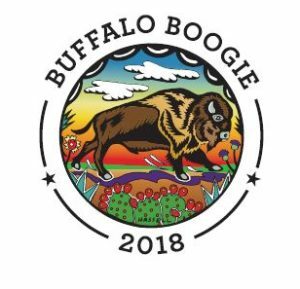 Mark your calendars for the annual Buffalo Boogie on Saturday, May 12, 2018, at 8 am. Russell Feed & Supply is proud to be a part of this worthwhile event! Come and explore our 3,621-acre preserve, one of Fort Worth’s hidden jewels. The scenic route traverses shaded bottomlands along the West Fork of the Trinity River and transitions into open prairie savannahs. The route concludes along the bison range where participants might spot one of these majestic animals in their native habitat. Proceeds from the 10K, 5K, and one-mile fun run, which features live music and family-friendly activities, benefit the Nature Center. The USATF-certified race courses follow paved city roads within the Nature Center that are closed to traffic for the races. The route is both stroller and dog-friendly. After the run, enjoy refreshments, vendors, MO the Bison and family activities for all ages. Attendees can visit an event expo featuring a variety of wildlife and conservation entities, preservation organizations, food-and-drink vendors, small businesses, educational exhibits, and a Fort Worth Nature Center & Refuge pop-up gift shop. The Buffalo Boogie offers three events so you are sure to find one that suits your interests. Race start times and fees are listed below. Groups register by creating a group. School groups are $10 per person and large groups are $20 per person. A 10 person minimum is required for groups. Children in strollers do not need to register, but children who walk or run do need to register. If you are a member of the military or retired veteran, call the Fort Worth Nature Center at 817-392-7410 for the military promo code. Participate in whatever way suits you best! Click here for registration information and to see the schedule of events. This entry was posted on Thursday, April 19th, 2018 at 10:02 am	and is filed under Events. You can follow any responses to this entry through the RSS 2.0 feed. Both comments and pings are currently closed.